Ho giusto trovato delle FAQs da alcuni siti di medical recruitment che interessanno qualcuno di voi…. Why should I consider working in New Zealand and/or Australia? What grade do I need to be to work in Australia and New Zealand? Is there an age limit if I want to work in Australia and New Zealand? What do doctors in Australia and New Zealand get paid? Are work conditions in New Zealand and Australia better than in the UK and Ireland? Will it cost me anything to use MedRecruit? Can I apply for work directly to the hospital or practice, without going through an agency? Can I extend my visa if I like working in Australia and New Zealand? How do I find out more information about working in Australia and New Zealand? What English Language testing requirements do I need to meet to work in Australia or New Zealand? New Zealand and Australia are both incredible places for you have it all – Lifestyle AND Career! Lifestyle – New Zealand and Australia offer you a vast range of lifestyle choices. Whether it’s skiing, surfing, sailing, Shiraz or scenery you’re in to, there’ll be a placement to suit. Career – Not only can you choose your hours; but you can also work in your area of interest, gain experience and be rewarded with excellent rates of pay. MedRecruit has jobs for all grades of Doctors’ – from Foundation 2 to Specialists and General Practitioners. There are no age limitations on working in Australia and New Zealand. The usual requirement is for six or 12 months, and these placements are almost always extendable if you want to stay. If you already know you would like to work for longer than 12 months, we can arrange this upfront before you start. What are the salaries of doctors in Australia and New Zealand like? The salary range for doctors in Australia and New Zealand is $65,000 – $250,000. The salary for an individual doctor will depend on their location and of course seniority. Generally however they are contracted to work 38 hours per week. It’s important to note that the cost of living in Australia and New Zealand is significantly less than living in the UK or Ireland. This means you will have plenty of money left to enjoy your new lifestyle! The choice is yours! Our Solutions Specialist will conduct an assessment of your needs (both career and lifestyle), and then we will give you a range of options that meet your needs. Then it’s entirely up to you to choose which option you want! Yes! New Zealand and Australia are fantastic places for doctors to work. The average doctor works under 55hrs per week, there is no 24hr call and doctors get six weeks annual leave (that’s a month and a half!). Over summer with daylight saving there are five or six hours of daylight after work to enjoy the outdoor lifestyle that New Zealand and Australia are famous for. No. MedRecruit’s service is absolutely free to doctors. The answer is ‘yes’, you can, however please be aware it’s a very difficult process unless you’re supported. MedRecruit has an experienced team to partner with you for your lifestyle and career success. Access to the many vacancies that are NOT advertised! Personal assistance from our Placement Co-ordinators. From work visas to medical registration – everything you need to find a position they’ll handle for you, before, during and after your placement. MedRecruit can often get you a better deal. We have great relationships with the hospitals and what this means for you is we will negotiate extra benefits on your behalf, such as reimbursement of your travel expenses! Yes, you can extend your visa easily and for several years continuously. If you are looking at becoming a permanent resident of either country you will need to apply to their respective immigration departments. There is a lot of information on this website but if you need more information then please don’t hesitate to contact MedRecruit; either call us on 0064 3 441 2470 or Contact Us Here on Email or Skype. Once you have your dream job confirmed it’s time to sort out your medical registration. This is a slightly different process depending on whether you are moving to New Zealand or Australia. If you meet these criteria, you should be eligible to be registered in a provisional general scope of practice with the Medical Council of New Zealand, to work under supervision. You can check your eligibility using the Medical Council’s online self-assessment tool. The process of applying for registration takes approximately 20 working days, and you will be required to attend a short registration interview on your arrival in New Zealand to verify your documents. Senior doctors who have completed their specialist training overseas may be eligible to apply for vocational registration, which can take up to six months to finalise. Doctors wanting to work as specialists in New Zealand for less than six months may be eligible to apply for registration in a special purpose scope. Check your eligibility using the Medical Council`s online self-assessment tool. If you have a primary degree from the UK, Canada, USA, Ireland or New Zealand or the equivalent licensing exams (such as the PLAB I and II, NZREX, USMLE) AND have completed a full year of supervised practice in this country so you eligible for full registration with that licensing authority, you will be eligible for ‘Advanced Standing’ with the AMC and conditional registration. If you have completed a specialist training program in another country, or you’re within two years of completion of an accredited specialist training program, you are eligible to have your qualifications assessed by the equivalent Australian College. They will then determine what (if any) additional requirements they wish you to undertake to gain fellowship in Australia. You will be eligible for registration as a specialist, conditional (AON – Area of Need)) specialist or specialist in training. If you do not fall into either of these categories you must complete the AMC Part 1 exam (MCQ) in order to be eligible for registration in Australia. Once you have a position you may then be eligible for general registration following a workplace based assessment process (which varies between states and territories), or by completing the AMC Part II clinical exam. After the AMC assessment, your application will be passed on to the relevant specialist college for assessment of your specialist training. Each college has developed its own set of guidelines about the assessment of OTDs and each case is assessed on an individual basis. The college assessment will ensure that the training you have undergone is of an equivalent standard to the training of Australian doctors. If you are applying through the AON pathway, however, this process is more focused on the qualifications and skills needed for the specific post you have applied for. The AON pathway is not a direct route to fellowship in Australia. Once you have your dream job confirmed, and your medical registration sorted, it’s time to make sure you’re allowed to work and to sort out your work visa. Once again, this is a slightly different process depending on whether you are moving to New Zealand or Australia. Once MedRecruit has confirmed a placement for you, you will be able to apply for a work visa or work permit in New Zealand. MedRecruit will provide you with the correct paperwork and will assist you with every step in completing your immigration requirements. To work in Australia there are a couple of visa options. Generally you will need a ‘Temporary Business (Long Stay) – Standard Business Sponsorship visa’. Another option is the ‘Medical Practitioner visa’. Click here to visit the website of the Australian Government Department of Immigration and Citizenship for more information. After your visa is sorted it’s as simple as booking your flights, packing you bags and jumping on the plane to wing you way south for your big adventure ‘Down Under’!!! Q1. Why do so many doctors choose to work in Australia and New Zealand? Q2. What grades of doctor can find work in Australia and New Zealand? A2. We have positions available for all grades of doctor from Junior Residents (SHOs) to Consultant Specialists, Family Practitioners and General Practitioners. Q3. Is there an age limit for doctors wishing to work in Australia and New Zealand? A3. There is no age limit. Applications from doctors who would like to work in Australia and New Zealand at any stage of their career are encouraged. Q4. Can I apply for a post directly without the help of a recruitment agency? c. The application processes for work visas/ medical board registration/ sponsorship are complicated and time-consuming. They can take several months of frequent phone calls and letters. It is far easier to allow us to do all the paperwork. d. Our candidates will have the security and peace of mind that they will be going through a highly reputable agency owned by doctors. All the posts we find for them will be genuine medical positions in Australia and New Zealand. Q5. Is there a minimum length of time I have to go for? A5. Most of the vacancies we have are for periods of 6 months or 12 months initially. We are able to organise longer placements if required. Q6. Does the agency decide where I work or do I decide myself? A6. The choice is entirely up to you. After you have submitted your CV, you will be sent a simple questionnaire asking for your preferences and interests. The applicant decides exactly where and what position they do. We simply offer a list of available posts fitting their preferences. Q7. Are there many British and North American doctors working in Australia and New Zealand? A7. A census of the medical workforce in Australia in 1998 counted over 4000 British-trained doctors working in Australia. That was over 8% of their entire medical workforce. In New Zealand, over 15% of the medical workforce is UK-trained. Australia and New Zealand have close to a 1000 North American doctors working there at any one time. In addition, South African and Irish doctors make up a sizeable proportion of the medical workforce. Q8. What are the salaries of doctors in Australia and New Zealand like? A8. Doctors in Australia and New Zealand are paid handsomely for their hours worked. As a rule, doctors are usually contracted to do 38 hours a week. Depending on the exact location and seniority, they can expect to earn between $50,000 to $250,000. Having said this, the cost of living is substantially cheaper than living in the UK or USA with a doctor’s salary in Australia / New Zealand stretching much further than it does in other countries. Q9. If I like working in Australia and New Zealand, is it possible to extend my work visa? A9. It is often very easy to extend a work visa up to several years, however for those candidates wishing to move permanently to Australia and New Zealand, you may need to also complete additional requirements set out by the relevant immigration department. It is, however, possible for some candidates to work permanently and obtain residency in specified areas. Q10. What is the best way to find out further information about working in Australia and New Zealand? A10. To discuss your options for working in Australia and New Zealand, and to learn about a range of vacancies most suited to your individual needs, e-mail or telephone us. The first step would be to discuss your preferences. We then ask for a copy of your CV and provide you with details of suitable vacancies. Q11. What English Language testing requirements are needed to work in Australia or New Zealand? A11. All doctors who want to work in Australia or New Zealand will require proof of english language proficiency. Doctors who have been educated in english speaking countries may be exempted from all testing. Doctors educated in non-english speaking countries may need to complete an IELTS assessment at one of many international testing centres. Further details of this (including locations and costs) available at http://www.ielts.org ? New Zealand is a brilliant place to live and to work. There is a great range of work available in most specialties in most locations! New Zealand is well known for its clean green image and it certainly deserves the title of ‘adventure capital of the world’! What is less well known is the great opportunity New Zealand offers overseas trained doctors. 39% of doctors in New Zealand trained overseas, so it’s well set up to cater to you. Whether you want to explore the pristine Southern Alps, relax in the warm water and white sandy beaches of the Bay of Islands, ski on one of our many ski slopes, surf with dolphins, sip cappuccinos in Wellington, or hurl yourself off a bridge in Queenstown – New Zealand has it all! Recent quality of life surveys placed New Zealand as one of the world’s best places to live. Overseas doctors who move here all discover New Zealand offers a better balance between cost of living and lifestyle than they have ever experienced before. New Zealanders are well known for getting out and living life to the full. They are very welcoming towards migrants and will embrace you into the culture and lifestyle. You will love the change of pace that not only the lifestyle offers, but also the working environment the hospitals offer. It’s a new way of life and it’s ready for you to experience! Because everyone loves doctors, once you have a job offer it is not a problem gaining a visa to work in New Zealand. Once MedRecruit has confirmed a placement for you, you will be able to apply for a work visa or work permit in New Zealand. MedRecruit will provide you with the correct paperwork and will assist and advise you with every step in completing your immigration requirements. To work in New Zealand there are certain criteria you must meet that are laid down by the NZ Immigration Service. For further information, please visit the NZ Immigration Service website or ask us at MedRecruit – Contact Us Here on Email or Skype. Australia is a fantastic place to live and to work. There is a great range of work available in most specialties in most locations! Australia is well known for its great outdoors. The hot weather and amazing golden beaches mean you can swim and surf all year round, without even wearing a wetsuit! The large cities are full of life and you will experience some of the most vibrant and lively cultural attractions anywhere. Australia is huge and has the lowest population density in the world so if you want a break from the lively cities, you won’t have to go far! Australians love getting out and experiencing their vast country and they’ll be more than happily to include you. The cost of living in Australia is much lower than in the Northern Hemisphere, so you will experience a very high standard of living. So if you want hot beautiful sunny weather all year round, and to work in a fun and accommodating medical system then Australia could be for you. As everyone loves doctors, once you have a job offer it is generally not a problem gaining a visa to work in Australia. To work in Australia there are a few visa options. You will need a ‘Permanent migration visas’,’ Temporary Business (Long Stay) – Standard Business Sponsorship visa’ or a’ Special occupational trainee visa’. Doctors can enter Australia to work on either a temporary or permanent visa. If you intend to bring family members who will live, work or study in Australia, you will need to ensure that they are included on your visa application. Comprehensive information about visas and immigration issues can be found on the Department of Immigration and Citizenship website, or we can help run you through it. Eligible family members may apply with you or separately. If your family members apply separately, they must complete a separate application form and pay a separate application charge. Your sponsor will also need to complete a separate sponsorship application for any accompanying dependent family members not included in your initial application. You should include all dependants who will be accompanying you, or intend to join you in Australia, or who intend to remain with you if you are already in Australia. Permanent entry to Australia for overseas trained doctors (OTDs) is available through the General Skilled Migration Program, the Employer Nomination Scheme and the Regional Sponsored Migration Program. Doctors can also enter Australia to work temporarily. In addition to the other requirements for permanent entry to Australia, a doctor needs to provide evidence of full (unconditional or general) medical registration or, evidence of completion of the standard pathway for specialist assessment or standard pathway for general practitioner assessment for independent/unsupervised specialist practice. Doctors may choose to initially enter Australia as a temporary resident and work with conditional medical registration before completing the requirements for full medical registration or specialist recognition. If a doctor is not able to meet the requirements for permanent migration or prefers to enter Australia as a temporary resident, then entry on the Temporary Medical Practitioner visa or the Temporary Business (Long Stay) visa may be possible. Temporary visas for Postgraduate or Occupational trainees are also available. Such a visa is for doctors seeking to upgrade their skills for their return to their home country and is not from work in Australia. The Department of Immigration and Citizenship suggests that the Temporary Business (Long Stay) visa is the preferred temporary visa pathway for doctors entering Australia. It allows applicants to take advantage of streamlined visa processing arrangements, including the ability to lodge applications over the internet using a special online application form. To obtain a temporary visa, we will first find a position for which a doctor is considered a suitable candidate by the employer or sponsor. Doctors applying for temporary visas must provide evidence from the relevant Australian Medical Board that they are eligible for medical registration in Australia. Doctors with such evidence may be eligible for a temporary visa for periods up to four years. Intend to undertake supervised training as a Postgraduate or Occupational Trainee, in a designated short-term training position. More information on the requirements for entry through these permanent and temporary visa programs are available from the Department of Immigration and Citizenship website. A postgraduate or occupational trainee position must be designed specifically to add to or enhance the overseas trained doctor’s (OTD’s) level of skill in their present occupation or area of expertise. These positions are only for doctors seeking to upgrade their skills for use on return to their home or another country on completion of training and are not intended for doctors seeking work in Australia. These training programs are workplace-based and are available in some Australian hospitals. Entry to Australia to take up one of these training positions should be on a special occupational trainee visa. As applicants must meet a number of requirements for entry to Australia for postgraduate or occupational training, you are advised not to make travel arrangements until your visa application has been approved. You can find more about the specific immigration requirements and application process from the website of the Department of Immigration and Multicultural Affairs. All information provided on this website is correct at the time of publishing. Please contact MedRecruit for further information and guidance because we are here to help. State and Territory Medical Boards are responsible for the registration of all doctors in Australia. Many Medical Boards will only grant actual registration once the overseas trained doctor (OTD) has the appropriate visa, but they can give a written indication that the OTD should be able to practise in Australia, subject to the granting of medical registration after they arrive onshore. There are two types of medical registration in Australia, full medical registration and conditional medical registration. Most OTDs enter the Australian medical workforce with conditional medical registration. Full (general or unconditional) medical registration allows a doctor to work independently/unsupervised in Australia within their field of practice. Recognition of medical registration across Australian State and Territory borders is enabled by the Mutual Recognition provision. Doctors who are not eligible for full medical registration in Australia may be eligible for conditional medical registration. Categories for conditional registration include positions of postgraduate (occupational) training, supervised training, teaching or research, Public Interest/Areas of Need, disciplinary or health conditions, or an Overseas Trained Specialist (OTS) with qualifications deemed equivalent to an Australian trained specialist by one of the Australian Specialist Medical Colleges. The types of conditions of medical registration vary depending upon the category of registration and the individual doctor. Most overseas trained doctors (OTDs) (including doctors from the UK or Ireland) have conditional medical registration when they begin working in Australia. This means that the OTD or OTS needs to work in an Area of Need (AON). Your medical registration in these circumstances is job specific. Once you have received registration for a particular position, you may not change jobs without reapplying for medical registration. The category of medical registration available to a particular OTD will determine the level of supervision employers need to provide and training requirements for the OTD. The first requirement that OTDs have to meet is the English language requirement. Following on from that, OTDs who have passed the Australian Medical Council (AMC) examination and have been issued with an AMC certificate, as well as OTDs with general practice or specialist qualifications recognised by the relevant Australian Specialist Medical College, usually meet medical registration requirements that allow for independent/unsupervised practice in Australia. In these circumstances, the OTD does not need to work in an Area of Need and employers are not required to obtain Area of Need approval. Occupational trainees are the other category of OTD who do not need to work in an Area of Need. Alternatively, doctors may prefer to contact the relevant Medical Board, the Australian Medical Council and the relevant Specialist Medical College to review their requirements. 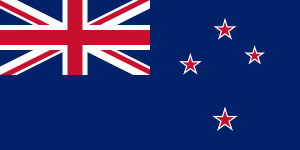 If you have a primary degree from the UK, Canada, USA, Ireland or New Zealand or the equivalent licensing exams (such as the PLAB I and II, NZREX, USMLE) AND have completed a full year of supervised practice in this country so you eligible for full registration with that licensing authority, you will be eligible for “Advanced Standing” with the AMC and conditional registration. If you have completed a specialist training program in another country or are within two years of completion of an accredited specialist training program you are eligible to have your qualifications assessed by the equivalent Australian College. They will then determine what (if any) additional requirements they wish you to undertake to gain fellowship in Australia. You will be eligible for registration as a specialist, conditional (AON – Area Of Need)) specialist or specialist in training. If you do not fall into either of these categories you must complete the AMC part one exam (MCQ) in order to be eligible for registration in Australia. Once you have a position you may then be eligible for general registration following a workplace based assessment process (which varies between states and territories) or by completing the AMC Part II clinical exam. An Area of Need (AON) is any location in which there is a lack of specific medical practitioners or where there are medical positions that remain unfilled even after recruitment efforts have taken place over a period of time. Area of Need applies to both public and private sector positions. They are determined by the State and Territory Governments. Methods of defining them vary. All overseas trained doctors (OTDs) are required to work in an AON when they first come to Australia, so hospitals will need to apply for Area of Need approval before offering a position to an OTD. Applications for Area of Need approval should be made by the employer to the relevant State or Territory Health Department, not the OTD. If the position requires the doctor to provide services that will attract Medicare benefits, then it must also be in a District of Workforce Shortage (DWS) for an OTD to be eligible to fill the vacancy. In genere le agenzie non si occupano del processo di iscrizione e riconoscimento spec in Aus, in quanto essendo complesso e variabile da caso a caso sarebbe un dispendio di tempo e risorse ingente per loro con il rischio che poi sia vano. Quando fui in contatto con agenzie per l’Oz tutte mi dissero, una volta che ottieni l’iscrizione all’AMC contattaci e inizieremo a cercarti lavoro. Un altro utente, Ettore, si è recentemente trasferito a perth come specialista in psichiatria, ma lui ha una lunga esperienza in UK, quindi non sono sicuro che se abbia seguito la tua stessa prassi. Per quanto riguarda NZ, si è piu facile e meno burocratico, quindi se lavorare in Aus non è un tuo punto fermo considererei anche questa opzione, magari in forma temporanea. si discorreva sull’utilità ed il danno dei siti di medical recruitment. che ne pensate? sono utili? più che altro, sono affidabili? chi paga? io in NZ ci sono arrivato tramite agenzia. Sono utili perchè si sanno muovere nell’ambiente, e sono affidabili nel senso che l’obbiettivo comune è farti trovare lavoro. loro vengono pagati dall’ospedale per ogni persona che fanno assumere. a me pensa hanno pure mandato una Limo a prendermi all’aeroporto. In Aus/Nz gira un bel bussiness attorno il medical recruitment, quindi ce ne sono tantissime, ma alla fine i posti sono quelli, quindi fanno la gara tra di loro per accaparrarsi un potenziale employee. più che altro a mio parere è il motivo economico, quindi gli ospedali lasciano la carta agenzia come ultima opzione nel caso non riempiano i posti disponibili. adesso ad esempio se volessi trovare lavoro in un altra città o in Aus contattarei direttamente gli ospedali. grazie per la risposta. ha qualche agenzia in mente in particolare? Ciao, io avrei una domanda. Sto facendo la specializzazione in Svizzera dove lavoro da 2 anni, vorrei fare 2 anni di specializzazione in Australia o NZ, visto che per la chirurgia bisogna riempire un catalogo. Avendo già lavorato devo comunque fare l’esame di abilitazione o basta il certificato di lingua e iscrivermi all’amc?Questo non mi è tanto chiaro. E nel caso dell’esame, è lo stesso per NZ e AU?da dove bisogna studiare?